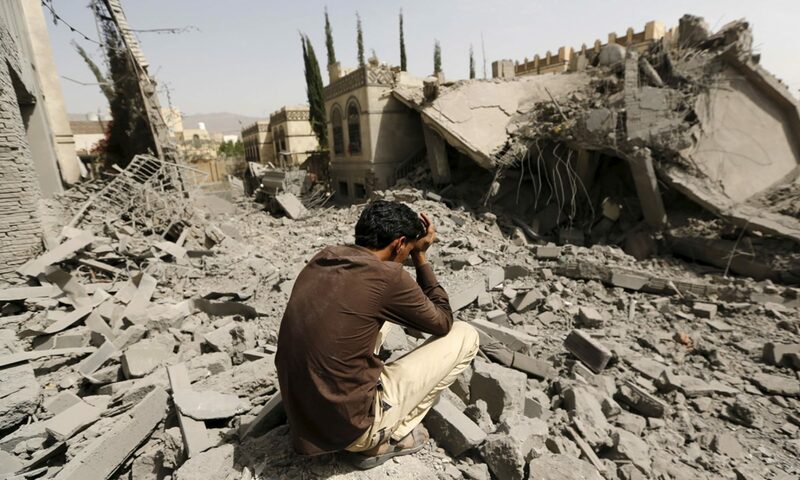 Ending the War in Yemen- Congressional Resolution is Not Enough! On November 14, the Republican majority in the U.S. House of Representatives blocked a resolution that its supporters say would end U.S. participation in the war and famine in Yemen. It is unclear, however, what effect this resolution would have on the ground even if it were passed into law. It imposes no limits on arms sales to Saudi Arabia or the United Arab Emirates. It does not propose any oversight or limitation of activities CIA or of private contractors from the U.S. in Yemen. The resolution is based on a time table that does not reflect the dire urgency to end the war in Yemen, where almost two months ago the United Nations’ humanitarian chief warned “We may now be approaching a tipping point, beyond which it will be impossible to prevent massive loss of life as a result of widespread famine across the country.” Further, the resolution provides exemptions for continued hostilities conducted directly by U.S. with drones and Special Forces. Limited as it is to removing “U.S. Armed Forces from hostilities,” one might even agree with Republican leadership that with the mutual decision that the U.S. stop refueling Saudi war planes, the resolution is moot, even as the war and famine continue. If the resolution were allowed to pass, there would be a 30-day window between the date when the bill might be signed into law and when it would take effect, in which time millions of Yemenis might succumb to famine. Exceptions for “those engaged in operations directed at Al Qaeda,” or in the House version, “Armed Forces engaged in operations authorized under the 2001 Authorization for Use of Military Force,” ensure that U.S. drones strikes in Yemen will continue. The resolution before Congress will also permit U.S. Special Forces attacks on Yemen to continue unchecked, such as the raid on Yakla in January, 2017, in the first days of the Trump administration that killed 25 civilians, including nine children under the age of 13 and one U.S. Navy Seal. In the current political reality, there is no room in Congress to resist U.S. participation in the Saudi-led war in Yemen without at the same time endorsing the 2001 Authorization for Use of Military Force, a blank check that has allowed for the destruction of whole nations and a manifold increase in the threat of terrorism. The Authorization was a disgraceful obfuscation by Congress when it was passed in 2001 and it has no place in a plea for peace in Yemen in 2018. So long as the 2001 Authorization provides an exception and the profitability of arms trafficking in the region goes unchallenged, there is no congressional resolution for peace in Yemen. It is especially shameful that a resolution as weak as H.Con.Res.138 is having trouble even being brought to the floor for discussion. Getting this resolution passed may be a step along the way, but it cannot be the goal. Support for this legislation needs to be accompanied by a somber recognition of its limitations and with the uncompromising and urgent demand that the U.S. end the war in Yemen now.